Last week, I stopped blogging. I didn't give notice, I didn't preschedule posts. I just stopped. It was a stupid idea, I knew that, but I did it anyway. You see, I've been really busy with the blog lately, and when a business trip came up, I just didn't have the enthusiasm to go through pre-writing posts and contacting guest posters. I figured everything would be fine for a week while I was gone, what's the worst that could happen? By letting my blog go stagnant for a week, I suffered the consequences. Naturally during the hiatus my traffic suffered, spiralling downward during the week of silence. Once I came back, it wasn't immediately business as usual. For a few days, my traffic was lower than usual, and it's only getting back to normal levels now. My Alexa ranking also suffered. It had been inching down slowly and steadily. When I checked it at the beginning of this week, it had started to reverse that trend. As anyone who is chasing their Alexa ranking knows, this isn't what we want to see! Luckily, I didn't lose any twitter followers or subscribers, but if I'd taken a longer break, I imagine I would've started shedding those too. Taking a break from blogging can be a great way to step away from the day to day and get some perspective. If done properly, it's easy to take a break while still bringing the same great content to your readers. Your traffic won't suffer, but you'll come back ready to write again. When taking a blogging hiatus, try and schedule the same number of posts as would go up in your normal blogging schedule. In this arena, guest posts can come in handy because the guest poster can be responsible for promoting the post on social networks, and responding to comments. Most fellow bloggers are more than happy to contribute if they know there's a need. Make sure you don't leave this to the last minute, give people a chance to get their writing done! Prewriting and prescheduling posts can also be a useful tool for the blogging hiatus. The only downside is that if you're taking a true break, you probably won't be around to respond to the comments. Again, having an extra set of hands can be very useful, and hiring someone just for the week to take care of promotion and commenting can give peace of mind. Having several generic posts that aren't time or season sensitive written in advance is a very easy way to get these prescheduled posts sorted out before taking a break from blogging. Taking a break from blogging has many benefits. It's a chance to bring new and original content to your blog in the form of guest posts. It's a chance to relax and remember why you started blogging in the first place. This is exactly what happened to me. Even though I did absolutely none of the things I suggested above, I still came back to my blog with new ideas. I also realized just how much I missed blogging and the PF community. I felt like I'd missed so many good posts in the week I'd been gone. Next time though, I'm going to do it right. Have you ever taken a blogging hiatus? I want to know! The thing about blogging or just running a content site in general is that consistency and momentum are your two best friends. It does sounds nice to take a week (or two week) hiatus, but as you said there are negative effects. Guest posts are great but I do get sick of sites that have too many guest posts. During a hiatus or vacation it's totally understandable, though. I definitely agree, I read a blog so I can hear the author's voice, and while I appreciate the occasional guest post, if they become to frequent I tend to skip them. My recent post November 1st NETWORTH Update! I agree. I learnt the hard way and my site took a beating. I'm a little more organised now and the next time that I want to take a "break", I'll be prepared. I have not as I've only been blogging for about two months now, but I can see how it might cause a problem. I think another thing you can do is maybe repost some of your earlier posts that had no traction. It's a good way to keep content up while also having it be content that many have not read yet. John, this is a great idea. I've done this as well. My first 2 months of blogging were filled with some of my best stuff, but had almost now visits (one had only 2 visits). I have only reposted one of my articles once, but may do it again in the future if I can't find time to write a new post. I also agree with everyone on the guest post thing. It is nice once in a while, but I tend to stop reading blogs that have nothing but guest posts. I like John's idea of posting comment from when your blog was new that people might not have seen yet, especially if you're not sure that you'll be able to get guest posts together or pre-write in time. I agree I think that's a great way to keep your blog appearing active without having to physically write new content. I just took a hiatus to move to Guatemala and have no electricity so far at my house, so I am a bit away from it all. I could have done it better with more guest posts but in the end it wasn't too bad. I just put a lot of pressure on myself to have all the content ready before I left and keep promoting in whatever little window of wifi access that I got. My recent post Friday recap, a new house, and still no electricity!! See by having posts that are still going up, I bet some of your readers won't even notice that you aren't online as much to respond to comments and the like. My recent post Friday Link Love and Photos! We did a few camping trips over the summer and there was never available Internet, so access to the blog wasn't really possible. I always had posts scheduled, so at the very least it never went dark. I did miss being able to interact with people that left comments as well as being able to comment on other sites, not to mention Twitter and such. Still, I tried to follow up on the comments left on my blog once I got back. It never really suffered too much. I think having at least a weeks worth of posts lined up is key, this gives you some breathing room for planned or unplanned time off. I definitely need to be better at writing in advance. I'm horrible at it! I take intentional and unintentional breaks all.the.time. I can’t preschedule posts – it’s not in my nature to not hit ‘publish’ after I’ve finished writing something. I'm like you, I'm really bad at writing in advance. I just took one this week! I didn't post anything though I made sure to read other posts and comment when I could offer some insight. But I think the best thing is planning ahead. Writing posts so that you can have a backup or two and getting help from others in the atmosphere. People are always willing to help but you have to ask. Definitely, I know I love helping out other bloggers by writing a guest post, but I wouldn't know that my help is needed if I don't ask! We took a mini-vacation recently, and although I did not post during that time, I did comment on other people's blogs when we were taking a break in our hotel room or while my daughter was taking a nap. That way, I was still interacting w/everyone. That's a good way to stay on top of things. I tried to read and tweet/comment on as many as I could while I was away also. 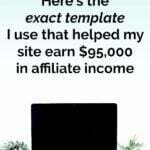 I don't earn money off of my blog so it hardly matters so much for me. It's not a big deal if I don't post. When I went on vacation for two weeks it was silent for one week and I had guest posters for the 2nd week but I wasn't even going to do that; it just kind of happened. I usually don't go more than 7-10 days without posting and that's good enough for me. Sometimes I wish I made money off my blog but on the other hand I really don't want my blog to be a job. As it is sometimes I go through a slump even without the pressure of chasing an Alexa rating. I think that would drive me nuts!! I'm sure you'll be back in the saddle in no time. That's why I haven't joined the Yakezie challenge, I don't want that kind of pressure! This is so true! I've taken breaks before without preplanning and came back a few days later to find that my traffic had taken a nose dive and it was so depressing. This last time I had to go out of town I made sure to have easy posts scheduled to go up every day at the normal time. Even though I wasn't able to keep up with comments my traffic didn't suffer like the last time since I still had regular content. I'm going to try to never just stop blogging suddenly without planning for it! (ya know, except for those times when it just can't be helped.) But it's nice to come back and just hop back into the normal flow instead of feeling like I now have to fight to get my numbers back up. Absolutely, in fact, it's probably worth the extra effort it would take to get everything ready beforehand, I know this week I felt a lot of pressure to post a lot of good content because last week was so silent! i just checked my ranking–never done that before! i have lowest traffic for guest posts, so i rarely have them. i just post ahead as much as i can. i post 5 days/week, but if i'm on vacation it's 4 usually. Wow five days a week is impressive! I Try and post three times a week, and even that is pushing it some weeks. This is one of those topics where I feel that it really depends on what your goals are with blogging as to how much this matters. I'm a person who keeps pretty minimal tabs on her stats. I pretty much only care about page view and that's more to keep tabs on what sort of topics my readers enjoy and what sort of topics that they skip. It doesn't bother me if they're up one day and down the next… On the occasions where I take a week long break (and it happens, I get busy) I just let things go. While my stats might decrease, my follower stats rarely decrease substantially. They don't grow, but they don't shrink either. Having guest posts doesn't really fit with my blog…. I don't do them on a regular basis, my readership isn't accustomed to them, and on the rare occasion that I have done them… my readership doesn't seem to respond to them so for me it just feels like a whole lot of effort for little gain. It definitely depends on the blog and like I mentioned, I didn't lose any subscribers or twitter followers, so I don't think there was any really lasting damage. Being new to the blog world I can't relate about taking a hiatus but I do understand the fundamentals of consistency of posts and solid material to just attract new readers. I do agree with your point that it's healthy to take a hiatus on from time to time and often you'd come back to your blog more inspired. Welcome back and thanks for stopping by my blog! I think that coming back more inspired was a big thing for me, since I was feeling a bit burnt out before. This week I not only posted almost every day, but I also wrote three extra posts to go up in the future. I guess the break worked! I took one when I went on my cruise last week but kept to my normal blogging schedule with pre scheduled and guest posts. My traffic dipped a little because I couldn’t comment or respond to comments but overall it went pretty well. 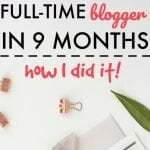 That's the perfect example of how to take a blogging hiatus correctly, I'm glad it worked for you! Last year my sad kicked in badly and I spent 2/3 months away really posting 10 – 15 times at most where my normal is a lot more. It took me a long time to come back from it and I'm so worried how I will cope this year – I'm hoping I can keep going, hopefully if I can't I'll be able to call on a few friends to guest post.. But it's amazing how damaging it can be. Well there's nothing more important than doing what's best for you, and if that means posting less, then that'll have to be the way it goes. Hopefully it won't be so bad this year for you. True. I normally follow what my body tells me it needs so I shall keep on :). Thank you. I think being able to take a hiatus is one reason why having good search engine referrals is important. If you mainly have other bloggers visiting your posts, if you take a hiatus and stop commenting on their sites and interacting – you'll see a drop off. If more of your traffic is search engine traffic often you'll see that your traffic doesn't really drop off much while you're gone. I took a week long vacation a while back, and because a majority of my traffic is from search engines, my traffic didn't really dip at all. Of course it takes a while and writing about the right topics to be able to get to that point. That's a great long term tip for successfully taking a blogging hiatus. Thanks! If you really want to turn blogging into more than a hobby, you have to be consistent like you said. Otherwise, the impact is noticeable. I did schedule some material for one of my blogs when I was out of the country for 10 days, but the others were just sitting there and the difference is noticeable. This is definitely true, and I bet my blog has been slower to grow because of these absences. I didn't even know you took a hiatus! I swear I was reading something just about every day! Yeah I agree with you. But sometimes I don't know when I'll all of a sudden get busy and won't have time to write. I think I could solve that by when I do have time, writing a bunch of things and having something waiting in the wings. I'm glad you didn't notice! I'm really bad at having posts ready and waiting to be posted, in fact right now I have the first surplus of posts in a long time. In the last couple weeks I have felt like I needed a break — and yet, I still wrote. It was more boring, more uninspired, and my traffic took a real hit. I think I might have done better by quieting down instead of just word-vomiting all over the place! I have that problem too, and I find that guest posts are really helpful in that situation. Another thing I found helpful was assigning myself a topic. That way I had something to talk about, instead of casting around for some inspired thoughts on something. I took a a haitus this summer when I went on vacay. My Alexa ranking still hasn't recovered. The funny thing is is that I had prescheduled posts. But I wasn't commenting like crazy. My traffic is at a level that I'm pleased with, but that targeted audience has gone in other directions. I'm okay with that as long as my traffic continues to grow. It's all about finding balance and sanity in my opinion. The second this stops being fun and starts being a chore it's just like any other job. And for me, that kind of defeats the purpose. This post has some great suggestions but has me worried! I am super busy at work in January and February and I know I will barely be able to look at my blog. I need to start pre-writing and asking for guest post now. But since I am a new blog I don't know if that will be enough to get me through two months. I don't have that many connections yet. You'd be surprised how many people will come out of the woodwork if you ask nicely. That said, I would definitely get going on planning your break now, because it'll be a lot easier than scrambling! 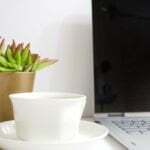 Great post, and will definitely need to remember these tips if I decide to take a little break. I definitely went the wrong route on taking a blogging hiatus. First a month off where I wasn't posting anything, which I lost followers over. Then I switched to a site talking about more than just money, so I lost some of my straight finance followers. Then I didn't keep up a set posting schedule, and posted willy nilly. As a result, my average hits are about 10% what they used to be. Fortunately my blog isn't a source of income, so it hasn't hurt me in that regard. If you're happier this way, then you've done the right thing. Having traffic is good, writing content that makes you happy is better. 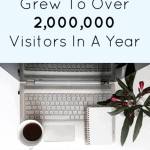 Everything you mentioned is important if you want a blog that continues to grow. Earlier this year, after working on my blog for 3 months straight, I burned out and took an abrupt week off with no pre-planning. While it was nice to have the week away from the computer, it was a big mistake. As someone mentioned above, momentum is huge when trying to build a good blog, and mine dropped, and it has taken a long time to get back the traffic I had. I agree, I've missed so many chances to capitalize on my momentum, I really wish I'd taken this blogging thing more seriously earlier on, I would be much farther ahead now than I am! Good job writing How Not to Take a Blogging Hiatus | Making Sense of Cents. I would like to learn more about this matter.